Archana Salvi Associate Professor, Department of Radiology, Gujarat Adani Institute of Medical Science, Bhuj, Kutch, Gujarat, India. Ashok Hadiya Associate Professor, Department of Radiology, Gujarat Adani Institute of Medical Science, Bhuj, Kutch, Gujarat, India. Background: Intestinal obstruction is defined as mechanical or functional obstruction of the intestines which prevents the normal passage of the products of digestion. 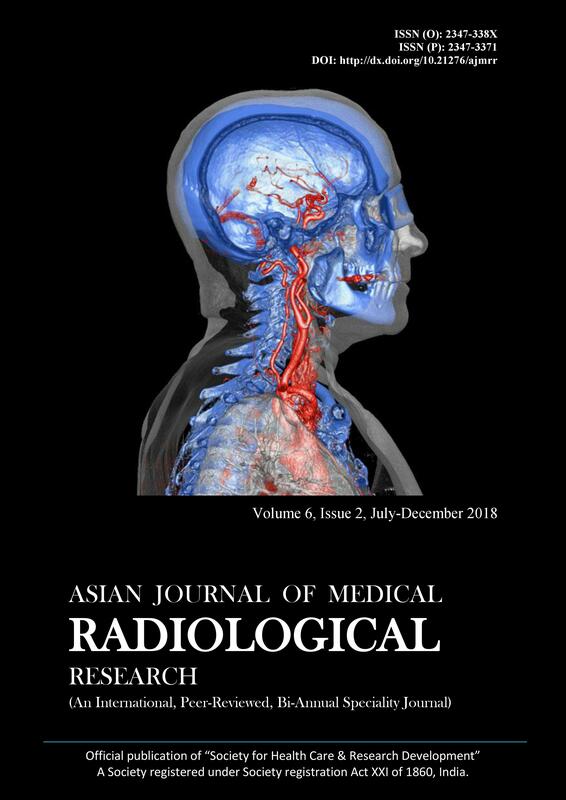 Present study was performed to study the role of Computerized Tomography (CT) in Diagnosis of patients with suspected subacute intestinal obstruction (SAIO), to find out site & cause of obstruction and to diagnose complications of obstruction. Subjects and Methods: This study was conducted at Department of Radiodiagnosis, Gujarat Adani Institute of Medical Science, Bhuj, Kutch, Gujarat. Total number of 15 patients with SAIO having equivocal findings on USG was included in this study. All the statistical tests were performed in SPSS version 15 software. Results: Age of the patients in the study range between 14 to 70 years. Out of 15 were 8 male & 7 female patients. On CT scan all 15 patients were found to have obstruction with 12 patients having mechanical obstruction & 3 patients having pseudo obstruction secondary to appendicitis, jejunal perforation. CT scan correctly diagnosed intestinal obstruction with its cause in 14 out of 15 patients. Most common cause of SAIO was ileal stricture followed by intussusceptions. Conclusion: The findings of the study show that CT is a valuable diagnostic procedure in patients with subacute intestinal obstruction with high sensitivity. It is a problem-solving tool in equivocal cases.